We’ve been selling landscaping supplies for almost two years and have had great success with fellow contractors and homeowners alike. In this blog, we want to talk about what has made that successful. On the surface, it might seem an odd choice to go toe-to-toe with big home improvement stores – not to mention selling to other landscape contractors. Let’s look at three major reasons you should think about buying from us. When you go to a big-box home improvement store, you never know what level of expertise you can rely on with their staff. You could get a seasoned staff member or a guy on his first day. Second, their experience is going to be with selling the product, knowledge given to them by the manufacturers. If you’re lucky, they may have used some of the product themselves at home. When you’re buying from a landscaper, you’ve got a couple of solid perks that set them above any home improvement store clerk. First, they will have extensive experience in using the specific product – they use it all the time. Second, they also have experience in the application of it, probably even for the specific project you had in mind. 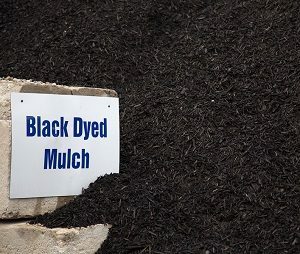 Don’t know how much mulch you’re going to need for a project? Not sure about all the materials you’re going to need to lay a patio? Landscaping contractors can help. We provide consultations as part of our regular business, and have the experience, procedures, and planning to help you as well. And as always, we can help with installing these materials as well as part of our normal landscaping services. Speaking of landscape materials, what kind of products do you think a landscaping contractor sells? Ones that work. Contractors aren’t limited to working with certain suppliers: they can pick what works. While this often means a more limited range of a particular product, it also means that product has been through the gauntlet and received the contractor’s seal of approval. These are landscape supplies that have proven themselves both in terms of effectiveness and cost. Lastly, contractors know about buying in bulk. One of our biggest customers are other contractors, ones that work smaller projects then we do. To them, and even to homeowner’s looking for large-scale DIYs, we can provide bulk discounts. Also, since we’re a contractor, we can also deliver these supplies. Regardless of how much you buy, we got the vehicles to deliver it. So, interested in checking out our landscaping supplies? Head over to our Landscape Supply page. From there you can check out all the materials we have on offer, and then fill out the order form, give us a call, or use our online store to immediately purchase materials. If you’re a landscape contractor, check out our specific blog for you, Buying Landscape Supplies from Another Contractor, and make sure to ask about our contractor pricing. Want to learn more about our ability to help with transportation and installation? Make sure to contact Greener Horizon for all our other services.